Liverpool boss Jurgen Klopp has confirmed that Alex Oxlade-Chamberlain is ahead of schedule in his recovery from a serious knee injury. The 25-year-old has been sidelined since last season after picking up the setback during the Champions League semi-final clash with Roma at Anfield. That in turn saw him miss the World Cup with England this past summer, while he has yet to make an appearance this season for the Reds, albeit Liverpool evidently haven’t missed him a great deal based on their results and league standing. 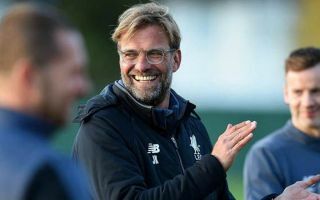 Nevertheless, Jurgen Klopp will undoubtedly welcome all the quality and depth possible to ensure that his side continue to compete on multiple fronts through the second half of the campaign, and Oxlade-Chamberlain could now be ready to return before the season is over. As seen in the video below, and as reported by Sky Sports, Klopp has confirmed that the England international could look to step up his recovery and resume normal training as early as February, with initial fears suggesting that he may well even have to sit out the entire year to fully recover. Naturally, Liverpool won’t rush him and will ensure that he’s ready to step up his rehabilitation at each stage, but it would be a huge boost to have him back involved to help them at the business end of the year. Oxlade-Chamberlain bagged five goals and eight assists in 46 appearances last season following on from his move from Arsenal, and Klopp will certainly welcome his energy, technical quality and all-round impact in midfield to drive Liverpool on in the latter stages of what could be a memorable season. Jurgen Klopp has the latest on @Alex_OxChambo‘s fitness.